Substantial Shop Premises Over Two Floors To Let in prime location within town centre situated opposite Sainsburys and Park View Shopping Mall. <br /><br />EPC Rating C72. Ground floor retail premises located within a prominent high street location. The unit has a traditional shop window frontage and ground floor retail space last used as a dog grooming parlour. Floor Area 44.5 sqm (479 sq ft)<br /><br />The property is located towards the western edge of Shields Road where there has been significant redevelopment in recent years. The area serves a sizable population and surrounding communities. The property is approximately half a mile east of Newcastle City Centre. The accommodation comprises ground floor retail unit which includes both a kitchen and toilet to the rear. Externally there is a parking space to the front elevation. The shop front is also protected with steel security shutters.<br /><br />The property is located on North Seaton Road within a busy retail parade of independent retailers. It benefits from a good level of passing trade being one of the main arterial routes into the Town Centre.<br /><br />Ashington is a large and densely populated town in south Northumberland and is approximately 6 miles east of Morpeth and 16.5 miles north of Newcastle Upon Tyne. There is an good transport infrastructure with the A189 Spine Road running to the east of the Town. The subject property is a two storey mid terraced of traditional construction with shop window frontage, front sales area, rear rooms and first floor accommodation. The property is surrounded by similar units in a prominent position overlooking Stanhope Road, an adopted highway. The property would be suited to a variety of retail uses. 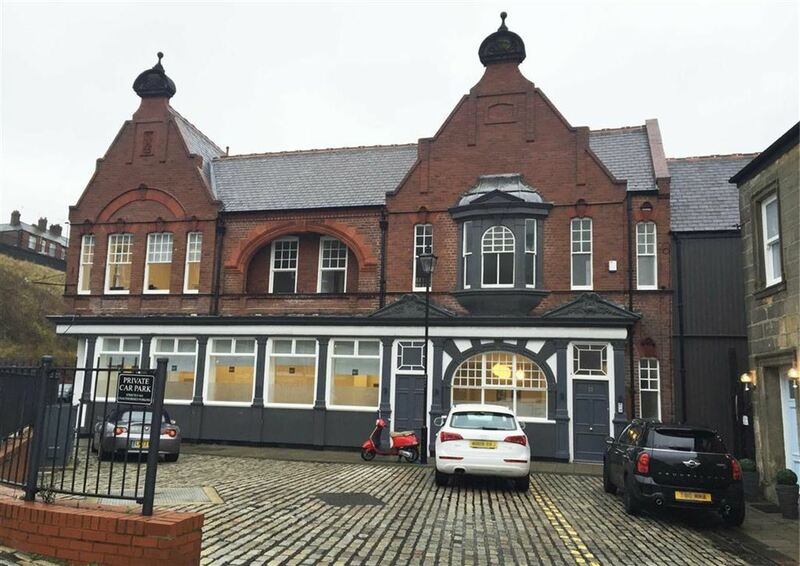 The subject property is located within an established retail centre on Stanhope Road near to the junction of Boldon Lane at South Shields, Tyne and Wear. The area is a community shopping area that contains a variety of terraced retail premises occupied by local traders and national retailers. The location also contains a Lidl Supermarket that has retained visitors to the area. First Floor Corner Office positioned on North Shields Fish Quay. <br /><br />Net Internal Area 26.73 sq m (287.72 sq ft). <br /><br />Rent £4180 per annum, additional service charge of £192.46 per month. Office 10 Amron House, Borough Road, North Shields NE29 6RN<br />Ground Floor Office Suite To Let<br />Serviced Offices Close to North Shield Metro Station<br />Net Internal Area: 42.45 SQM 457 SQ FT<br />£950 PCM inclusive or VAT, rent, rates, heat & light and high speed fibre broadband. All offices and suites are accessible 24/7 and can be provided on an easy in/out or longer leases as required.